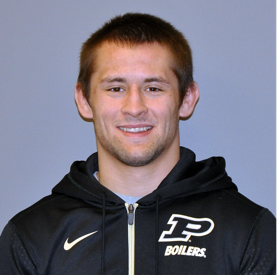 Mike got connected to Jeremy who is a senior on the wrestling team here at Purdue. He had been leading a Bible study with his teammates and was interested in getting coaching and resources, and Mike has been helping him with that. The other day Mike met with Jeremy, he shared how well his last study had gone. He said that last week he had felt under prepared for the Bible study, but it was a good study. The whole time during the study he felt the Holy Spirit prompting him to invite one of the guys to become a follower of Jesus who had "felt something warm in his heart during the prayer the week before". Jeremy felt like that would be awkward in front of the other guys, so he decided to just pray and close their time. At the end of the prayer the guy that was on his heart asked Jeremy if he can pray. Jeremy said of course, and the guy goes on to ask Jesus to be Lord of his life without invitation! Jeremy said the other wrestlers were all in tears, and it was a powerful experience! Praise God! This is why Mike loves investing in student leaders who can reach out to the sphere God has them in.